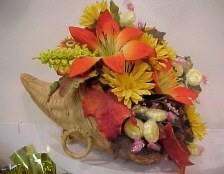 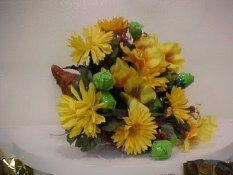 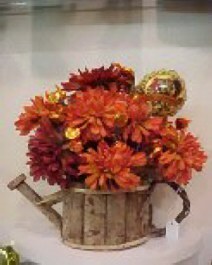 A spray of mums with candies throughout brighten the old watering can. 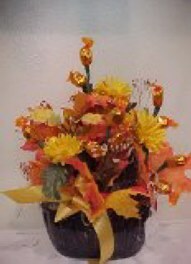 Candy blossoms lie tucked among the brilliant leaves next to a solitary bird. 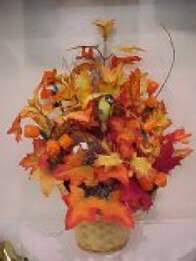 $32.95. 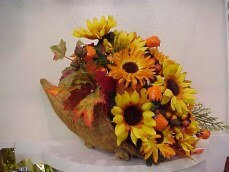 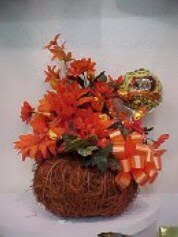 A woven pumpkin crowned with orange mums and candies. 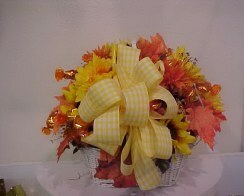 A basket full of fall flowers filled with shining candy buds. 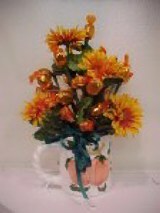 A holiday mug filled with flowers and candies.